If you were to ask me to recommend a novel written in the first person, I would say Anne Enright’s The Gathering. I’ve read it twice and I’m thinking about reading it again. But I just finished her most recent novel, The Forgotten Waltz, and although I didn’t like it as much, in some ways, it makes better or more use of the powers of the first person, in particular unreliability. The wonderful thing about this kind of unreliability is that it reflects the unreliability of our own narratives about our own lives. Gina Moynihan is the kind of person who realizes what she’s saying in the saying of it. And I think many of us are similar. Until you start articulating something, you don’t quite know what it is, and you don’t see the mistakes or flaws in your own argument until they’re in the air. She’s in the process of realizing what she’s saying, in the process of realizing what she knows or what she has refused to know–that’s the journey of the novel. They measure out their lives in large glasses of imported wine: there’s the phase of being “mad into chardonnay”, the “sauvignon blanc” years of happy marriage, alsace riesling as a spur to adultery, cracking open a “Loire white” as a reaction to bereavement. 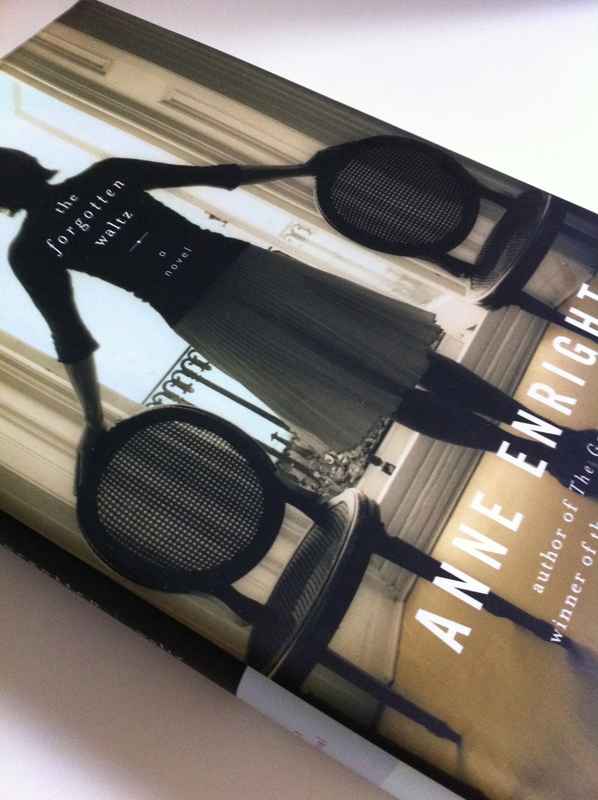 While working with Deirdre Gogarty, I started reading Irish authors and discovered Anne Enright. Not only is The Gathering one of my favorite first-person novels, it is one of my favorite novels, period. Like you, I’ve read it twice, and I’m sure I’ll read it again and again. I agree–one of my favorite novels period. Do you see how daffy I get without sleep? Misspelled Enright in my earlier comment. Almost finished with edits and my eyes are shot. Nevertheless, I started The Forgotten Waltz last night. Thanks for bringing it to my attention, Cynthia. And just ordered an older one of hers–Taking Pictures. Just stumbled sideways off your daily post into the 2008-9 posts about Anne Enright. Now I love you even more than I already do! Yours is the only blog other than “Dove Grey Scribbles,” my favorite of all time, that I read regularly. Both of you actually talk about writing and reading in this unpretentious way. You both have a real ability to capture visual images as well. Back to Enright – as with you and a couple of your posters here, I rank Enright among my all-time favorite writers. When I find a writer I like, I read everything she wrote. And I love all of Enright. The Gathering I’ve read three times, and now I’m listening to it on tape in the car. You do a really good job of capturing some of those lines that just knock one over. Her book sits by my indoor bed (I sleep in a tent by the water in the summer with the Douglas fir and eagles overhead). Reading about the family taught me something about my own Irish half. Kirie, I LOVE it when someone discovers an old post they like–thanks so much for letting me know you found your way here. My husband does the same thing when he finds a writer he likes–and he reads the books in the order they were written. Oh, you make me want to read The Gathering again and listen to it too. I have to say with Enright, I didn’t love some of her earlier stuff. I’ve just started The Green Road.